I wasn't sure if it would be to early to create a 2014:Movies thread or not but we don't really have a thread for general film news, so. On the fourquel’s success, Cruise told us, “Seeing an audience respond… to have that experience is really wonderful. “I started Mission: Impossible hoping I could make many of them. It’s a character that I can grow with. At that time it was the most expensive film in the history of Paramount Pictures, and the first film I was producing. All I can say is.... KING CONAN! Tom Hardy is going to win a few more fans with 'Mad Max' and 'Splinter Cell', that's for sure. I could care less about Transformers and Conan. I am not a fan of Arnold anymore. Really looking forward to 'Splinter Cell'! Tom Hardy will play a great Sam Fisher. He'll play a great Mad Max as well. Can't wait for Mission: Impossible 5. Wish a sequel was made to the Conan Reboot, but I'll see it anyways. I may see Transformers 4, the trailer will have to impress me to go see it. Good for 0Dark30, can't wait to see it. I can't help but laugh at this photo of Tom Cruise, look at that face. Omg I want to see Zero Dark Thirty, damn 100% awesome. 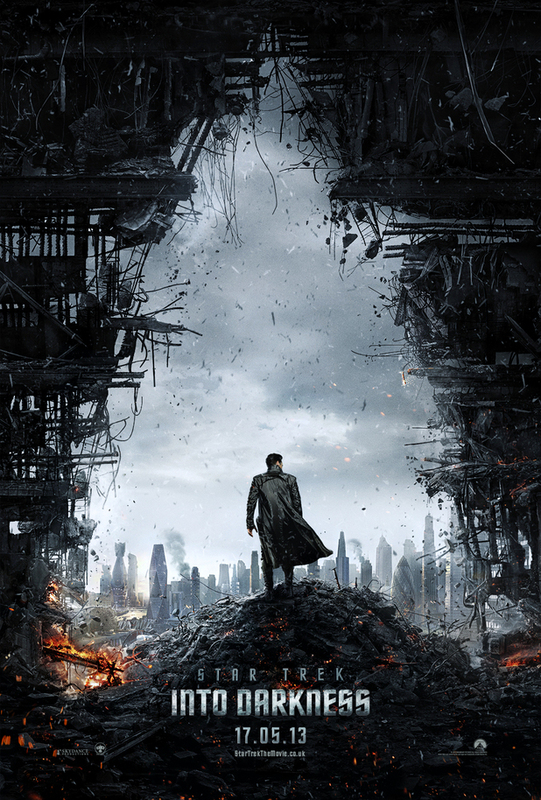 Now I'm not the biggest modern 'Star Trek' fan, but that poster looks more like a teaser for something like 'Total Recall', 'Dredd' or 'The Expandables 2' rathern than 'Star Trek' - no iconography at all, and very generic of a "broken landscape", "wrecked ship" and that horrid "jacket blowing in the wind action hero pose". Ah yes! I doth my cap to you Ace - good eye! And that bloke clearly isn't Captain Kirk either - the bad guy maybe? I thought it was Spock for bit, then I zoomed in and couldn't spot any Vulcan ears. I wasn't sure either, I thought it was Kirk but I looked it up and it is the villain on the poster. Edited by 00Hockey Mask, 03 December 2012 - 07:03 PM. Omg he is so hot...... I was just about to post this in another thread. Incredibly underwhelming poster. Slowly starting to distance myself from this film because of Christopher Nolan and 3D. Comic Con poster was much better in my opinion. I heard a new trailer is set debut in front of The Hobbit which is an a week, so hopefully something good. The Star Trek trailer is said to be out tomorrow. Wonder when we'll get a teaser for this new Robocop film. 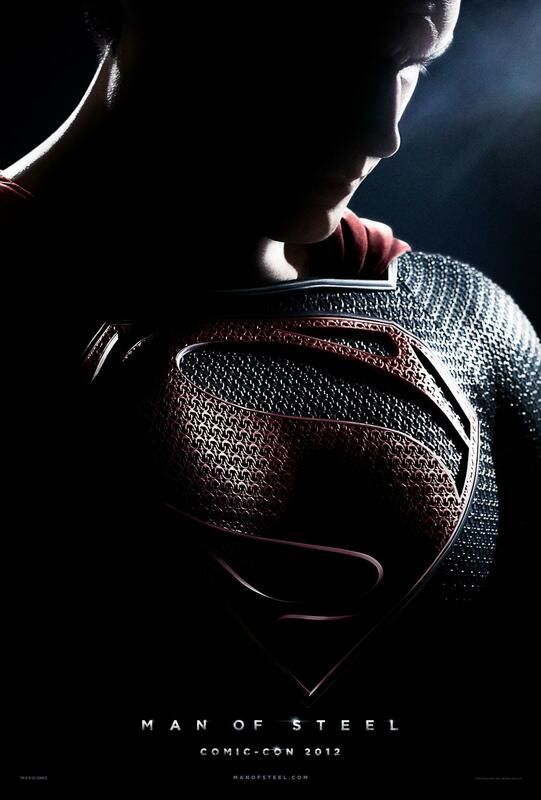 I think 'Man Of Steel' will hit a trailer out next week, if not the start of the week it will be 14th December. Very excited to see how Superman is being crafted for this make-or-break film. He NEEDS this to work, or he's done for. From what I can gather, I think Cavill will be a great Superman. Fingers crossed. Benedict Cumberbatch's voice is really cool in the trailer.